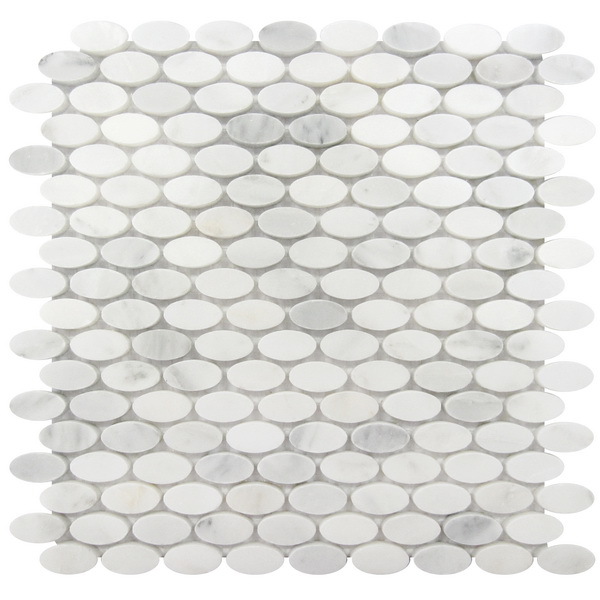 Carrara White Oval 12x12 Interlocking Mosaic. SOLD BY BOX OF 10 TILES / 10 SQ FT.
Carrara White Oval 12x12 Interlocking Polished marble Mosaic tiles are elegant and understated with their shades of whites. Best uses backsplashes and accent walls in both residential and commercial projects. Size : 12x12 Interlocking 5/8" x 1-1/4"